Read some of the submissions made to the light rail project at the Newcastle Herald. Keep rail on the the corridor! Who benefits? Who pays? Join SOR at the rally to ‘Keep Rail in the Corridor’. When: 11am on Sunday 11th October 2015. Where: in front of Civic Station. Let’s keep the pressure up before the Upper House debate only a couple of days later. Bring banners and signs. A bill to authorise the closure of the Newcastle rail line will finally be debated in state parliament tomorrow, reports NBN News. 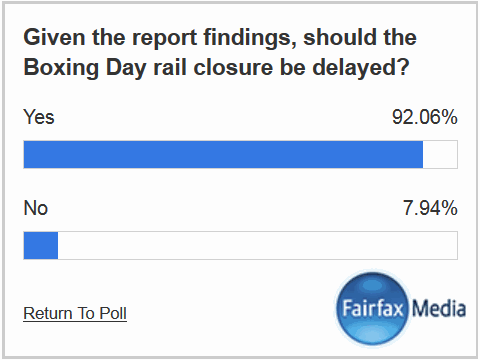 In an 11th hour move against it, Save Our Rail is lobbying MPs who hold the balance of power in the Upper House. Watch the video on the NBN News website.